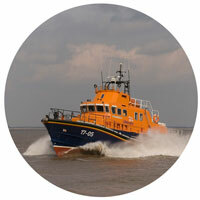 The Hessle Branch of the RNLI (Royal National Lifeboat Institution) was formed in 1969. At the start of 2018 the Branch has 80 registered supporters. The Branch aims to hold a variety of events throughout the year to support the vital work of the Lifeboat Service. The Royal National Lifeboat Institution is a registered charity providing a 24 hour lifeboat search and rescue service to 100 miles from the coasts of the UK and the Republic of Ireland with a fleet of 422 Lifeboats and 238 operational lifeboat stations, including four along the River Thames and inland lifeboat stations at Loch Ness, Lough Derg, Enniskillen and Lough Ree. Additionally the RNLI has more than 1,000 lifeguards on 249 beaches around the UK and operates 8 specialist flood rescue teams, which can respond anywhere across the UK , Ireland and overseas when inland flooding puts lives at risk. Volunteers make up 95% of the charity, including 4,600 volunteer lifeboat crew members and 3,000 volunteer shore crew. Additionally, thousands of other dedicated volunteers raise funds through local RNLI Branches, raise awareness, give safety advice, and help in our museums, shops and offices. All the RNLI services which are entirely funded through public and private donations, legacies, and the fundraising activities of its local branches, members and supporters. 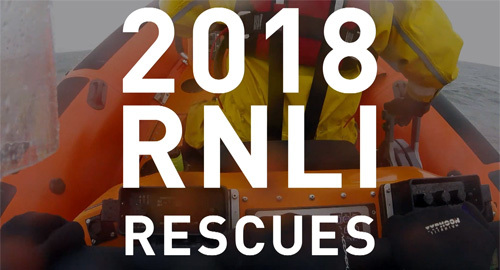 Since 1824 the RNLI has saved over 140,000 lives and in 2017 its Lifeboats launched a total of 8436 times from its 238 stations (average 23 a day) and rescued in total 8072 people (average 22 a day) . RNLI Lifeguards attended 15558 incidents - aiding 24,044 people. Registered in England and Wales (209603) and Scotland (SCO37736). Charity number (CHY 2678) in the Republic of Ireland.